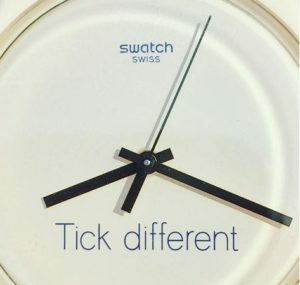 Swiss watch giant Swatch has failed to stop US tech giant Apple from registering “Think Different” as a trademark, which Swatch argued segues too closely to its own “Tick Different” trademark. 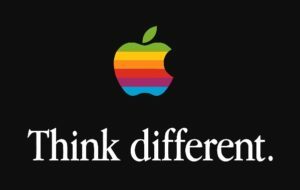 Apple’s “THINK DIFFERENT” mark was used in its successful Emmy-award winning advertising campaign which ran for five years from 1997. The mark was also used on the box packaging for its iMac computers next to another trademark “Macintosh”. Its applications to register “THINK DIFFERENT” were filed in Japan on February 24, 2016 for use in relation to various goods and services belonging to 8 classes like watches, clocks (cl.12) as well as online social networking services (cl.45), among other items. JPO admitted registration on September 12, 2017. Subsequently, the mark was published in the Official Gazette for opposition. By citing its own mark, Swatch filed an opposition against Apple’s “THINK DIFFERENT” mark based on Article 4(1)(xi) of the Japan Trademark Law and asserted a likelihood of confusion with Swatch “Tick different” mark when used in connection with all goods designated in class 14. Swatch’s “Tick Different” mark was filed to JPO through the Madrid Protocol (IR no. 1279757) with priority date of July 16, 2015 and admitted national registration on July 15, 2016 by designating timepieces and chronometric instruments, namely chronometers, chronographs, clocks, watches, wristwatches, wall clocks, alarm clocks, among other items in class 14. Swatch, having a worldwide presence and its corporate group owns a stable of Swiss watch brands, including Omega, Tissot and Swatch, has allegedly used the mark on mobile payment smart watches since 2015. Swatch argued that the two marks were highly similar due to the same syllabic structure and number of words. With the same ending and almost the same beginning, they are visually and aurally similar. However, in decision grounds issued on June 6 2018, the Opposition Board of Japan Patent Office (JPO) found that when compared as wholes, the marks were more dissimilar than similar. The Board, after considering all the pleadings, evidence and submissions, concluded because of the conceptual, visual and aural dissimilarities of the marks, the Board was persuaded that the average consumer would conceive they are, overall, more dissimilar than similar. Consequently, JPO ruled that as Swatch’s opposition failed on all grounds, the “THINK DIFFERENT” mark registration from Apple will remain with the status quo. 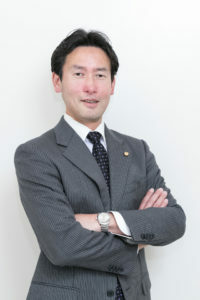 Posted on 2018年9月8日 by Masaki MIKAMI in Article 4(1)(xi), Catch phrase, composite, Composite mark, Likelihood of confusion, Madrid Protocol, Similarity of mark, Slogans and tagged Apple, Article 4(1)(xi), Swatch, Think different, Tick different, trademark opposition.